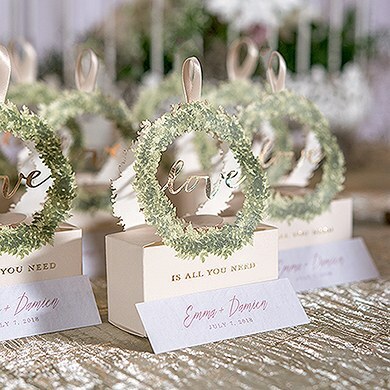 There are ways to personalize your wedding day, but Deborah Thomson of Figgie Shoes is genius at it. 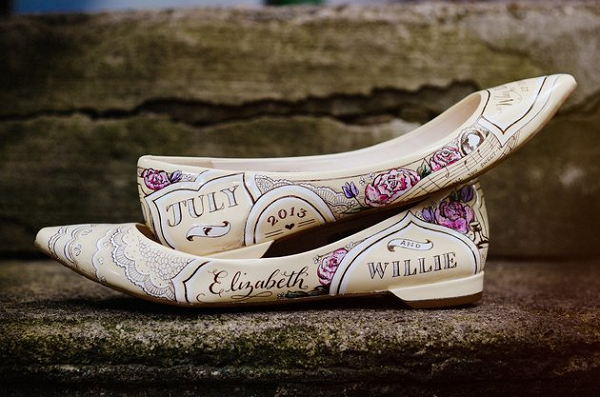 She creates unique, handpainted shoes that are specific to your wedding theme. 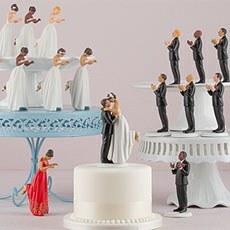 You can add your wedding date, special quotes, and other details and embellishments that tell your love story. 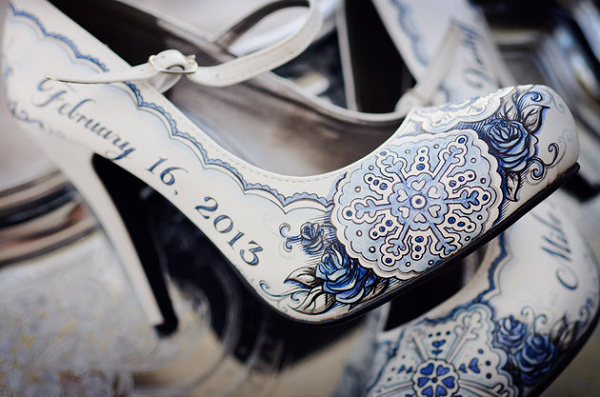 For $598+ you can have an eye-catching pair of shoes to wear on your wedding day and a treasured keepsake.